Beauty at the tips of your fingers. An invigorating and detoxifying experience with a fun bubbling explosion! 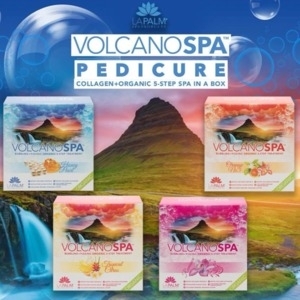 5 step pedicure kit includes: Detox Volcano Crystals, Detox Volcano Activator, Exfoliating Sugar Scrub, Collagen Organic Cream Mask, and Collagen Organic Massage Lotion. This unique spa treatment will keep clients coming back for more. As the name suggests, a jelly pedicure involves soaking your feet for an extended period of time in a tub of jelly. The jelly used in a jelly pedicure is specifically made for that purpose and has more of a gelatinous texture to it. The jelly comes in a variety of colors and scents - Picking a good scent is an important part of getting a good jelly pedicure. This pedicure will help exfoliate the skin and the ingredients in the jelly work to open your pores, target dead skin cells, helping to get rid of toxins in the skin and make the skin softer. The jelly will lock in heat, meaning you can soak your feet for much longer without having to reheat the water. This heating process will help relaxes tense muscles, nerves, and promotes circulation. Finally, jelly pedicures are just plain fun! It’s such a unique feeling submerging your feet in a tub of jelly. People love the feeling of moving their feet through jelly as opposed to just plain old water. It may sound odd, but trust us… it’s awesome. TRY IT TODAY! At Lee Nails & Spa, all herbal pedicures include an all-natural (organic) herbal exfoliation of your choice to give you the best spa experience you never had before. In additional, we are also specialized in aromatherapy foot massages to give you a special feeling you can hardly find from any other place. REJUVENATION * CONGESTION RELIEF * MENTAL CLARITY * HERBAL DETOX * JUST FOR WOMEN * BRIDAL BOUQUET * RELAXING LAVENDER * CALMING TEA TIME & RENEWING ROSE * MIGRAINE RELIEF * EXHILARATING JAVA * WARM COCOA * MUSCLE TENSION RELIEF. Includes your choice of custom-made herbal products from our menu of herbs for a relaxing sensory experience. This service includes feet soaking, nail & cuticle care, exfoliaitng, soothing mask, callous treatment, paraffin, massage, hot towels and choice of lacquer or nail strengthener. 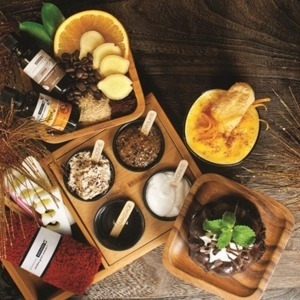 This Herbal Spa will definitely awaken your senses. Includes your choice of custom-made herbal products from our menu of herbs for a relaxing sensory experience. This service includes feet soaking, nail & cuticle care, exfoliating, soothing mask, callues treatment, hot stone massage, hot towels and choice of lacquer or nail strengthener. This Herbal Spa is sure to awaken your senses. Choice of scents: Lavender, Green Tea, Peppermint, Rosemary, Eucalyptus, Orange, Coffee & Ginger. 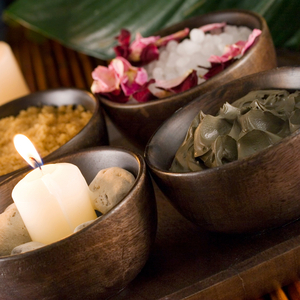 At Lee Nails & Spa, Mud Salt Pedicure of your choice to give you the best spa experience you never had before. Additional, we are also specialized in aromatherapy foot massages to give you a special feeling you can hardly find from any other places. This service includes feet soak with Epsom Salt which helps reduce from stress, nail and cuticle care, exfolating, soothing Mud mask, callous treatment, massage, hot towels, hot stone. A choice of lacquer or nail strengthener. Also available is your choice of Essential Oils Scent: Lavender, Coffee, Green Tea, Pepperment. This Mud Salt Spa is sure to awaken your senses. 9 Yrs. - 12 Yrs.